Circles Social Skills Utility™ Tutorial: A Brief intro on the program! Circles Social Skills Utility™ Tutorial: How to use the program! 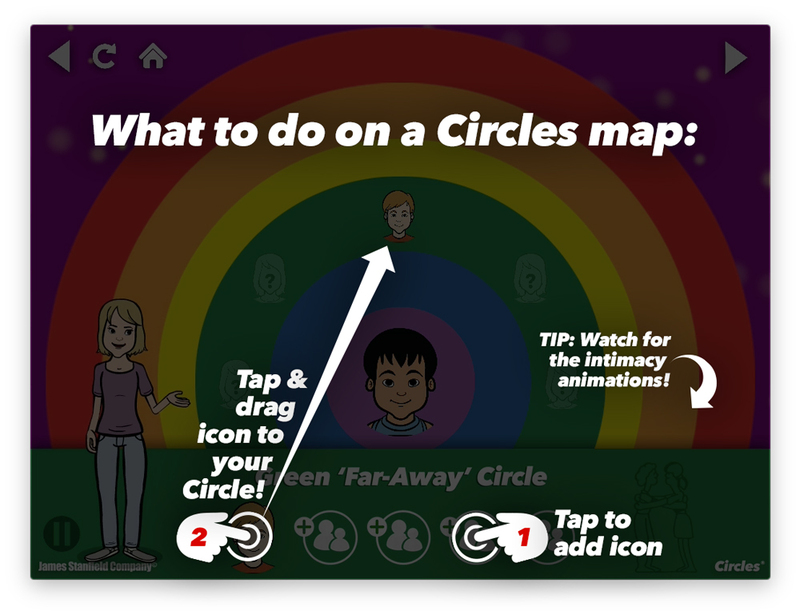 Below is a brief step-by-step Circles Social Skills Utility™ tutorial on how to navigate the around in the app! If you have further questions visit the FAQ section here. Also, please reference the teachers guide for more information. If there is anything you would like us to add to our Circles Social Skills Utility™ tutorial please let us know! We welcome any and all feedback as well, send us an email through our contact us form! 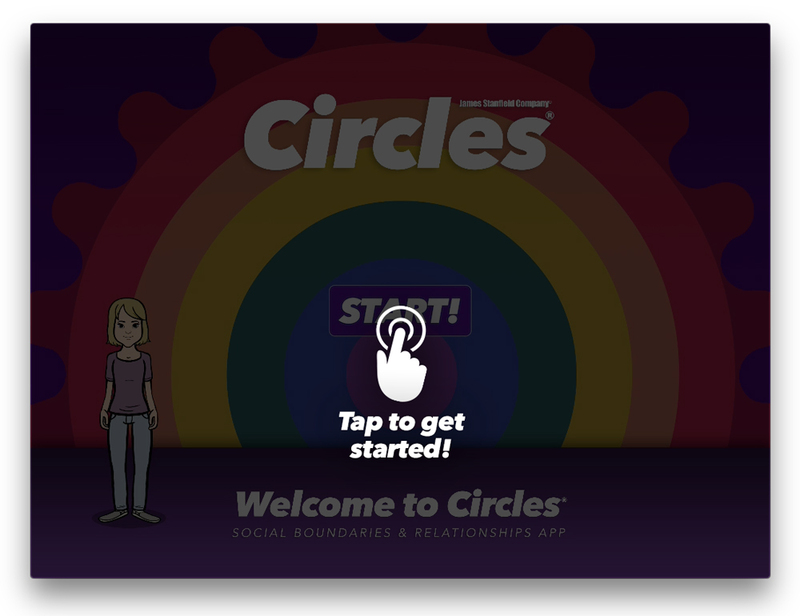 After opening the app, tap the start button to begin the Circles App™! After tapping start, you will be able to make a new profile, or select one of your previous ones! Before diving into this tutorial there are a few icons you should know. The top right and left arrow buttons are navigation buttons to move throughout the app. 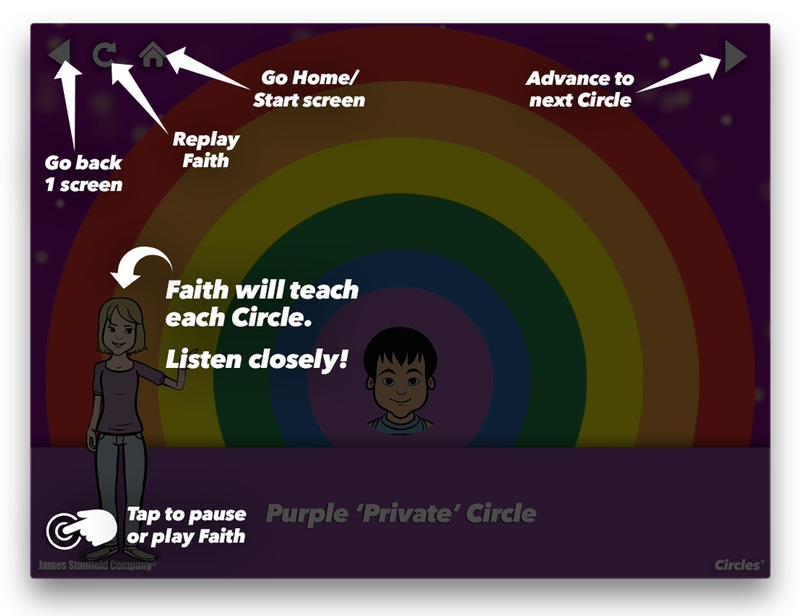 The circular arrow is a replay button which will restart everything on the page, including all animations. and the house icon, is a home button. If you are ever lost, hit the home button to be taken back to the start page. There is also a play and pause button in the bottom left if you want to stop Faith! For our example, we will be creating an icon! Tapping on an icon will allow you to change things like skin and hair color. Feel free to try out different combinations of people until you find someone that looks like whoever you are trying to create! 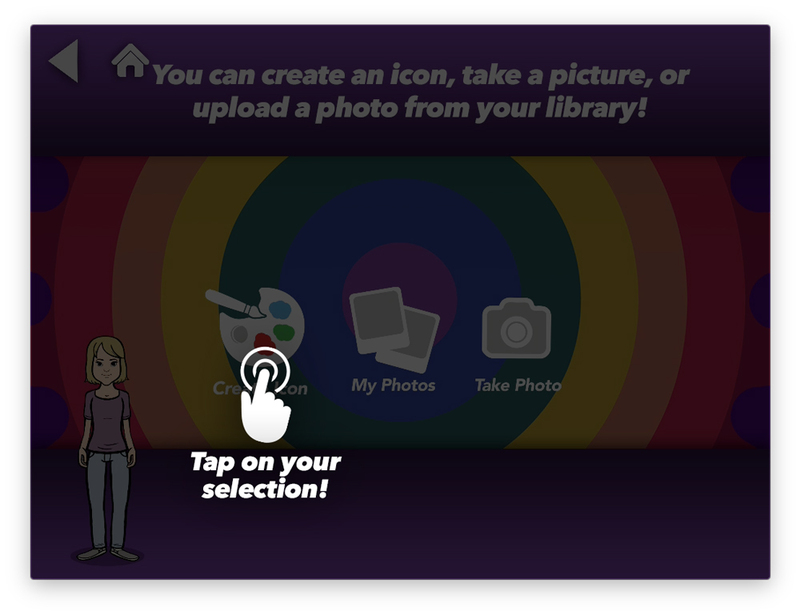 After you have selected an icon now you can change hair and face color. Once you are satisfied with your selection, give your icon a name and hit the arrow in the top right to save! As you move through the game you will be presented with different circles representing different levels of intimacy. Simply add a person by tapping one of the empty icons on the bottom. After you have created a person, drag them into the circle of the appropriate color. TIP: Try to remember where you placed them! It will come in handy for the game at the end!